Particularly, 43 trains across the Northern region, including additional 41 trains with 20,000 seats for Hanoi- Ho Chi Minh City route will be mobilized. Especially, two trains SE11/SE12 from Hanoi to Ho Chi Minh City and vice versa will be increased from April 30 to May 2. Some key routes from Hanoi to Lao Cai, Hai Phong, Dong Dang, Quan Trieu, and from Yen Vien to Ha Long are still operated 12 return trains a day. 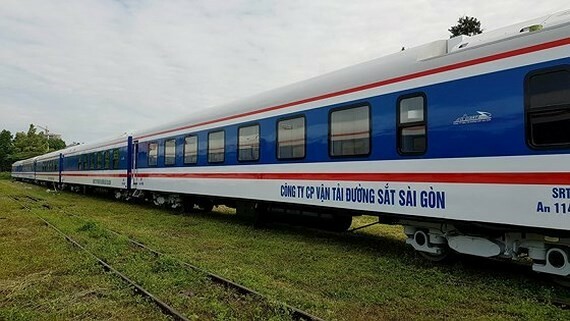 The Vietnam railways also planned to provide 87 more trains departing from Ho Chi Minh City to Phan Thiet, Nha Trang, Quy Nhon, Quang Ngai, Hanoi and vice versa, and nearly 43,500 seats going from Nha Trang to Hue and vice versa. On the occasion of the death anniversary of Hung Kings, the railway industry will send additional 20 trains to sever passengers from April 11- 15.